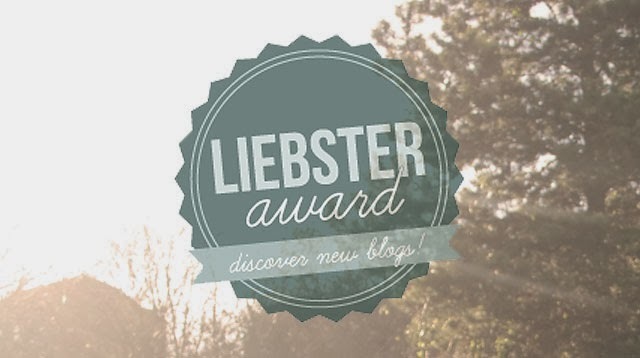 I was just nominated for a Liebster award by Sarah from Seriously Shallow. Please take a trip over and view her great blog. The award is for bloggers that have less than 200 followers and is a great way to discover new or niche blogs. There is no prize or judges, it is just a nod of recognition for upcoming bloggers, and an excellent way to find something new to read. I think it’s the same as most girls, it would be doing my dolls makeup with a biro and whatever else I could lay my hands on. I was obviously crazily talented at this! My first real makeup was either Natural Collection at Boots or those little tubs of lip balm from the Bodyshop. I used to keep it in my pencil tin and apply it like it was the most exclusive lipstick ever. Great design, I’m a sucker for a good looking blog, great photography and typography work for me. Honest writing, without pretension, I like people to say it like it is, as i’m a northerner who just happens to live down south. Taking good quality photos and including alt tags for them to make them searchable on google images. I chose my blog name as I was trying to find a name that showed that my life is often lived in opposing directions. I am a stay at home Mum, but I also love all things OTT and glamorous, you can imagine my confusion with school run fashion. Waterproof Mascara. When I’m on holiday it is often the only thing I wear. I reckon it is the only makeup item that can be worn in isolation. Urban Decay Naked 3 Palette – I can’t justify it when i have 4 palettes on the go at the moment. Estee Lauder Advanced Night Repair – Again I am put of by the £45+ price tag, what happens if its pants? GHD’s – I use a Wahl ceramic Hair Straightener at the moment, and I find it hard to believe that these can justify the extreme price tag, but it would be nice to know for sure. Tarte Blushers, they look amazing but again if I pick the wrong shade I would be gutted. I don’t really do regret, I am so lucky to have the life I do and so I feel that if I changed anything my life would be different and that would be awful. The only thing I would/could change that I don’t imagine would have a knock on effect is that I would have brushed my teeth more as a child, and therefore saved myself some painful and expensive dental work. I’m not really a pretty type of girl, but I feel the most attractive when I have the luxury of plenty of time to get ready. I really enjoy a couple of hours with a great playlist, a glass of Sauvignon Blanc, and my iPad to watch Youtube Beauty Channels on. and then I have The Goldfinch by Donna Tartt which I have waited 10 years for. Currently I stay at home with my children but I used to be a Business Analyst in an Investment bank. Other random jobs I have done include the makeup counter at the Bodyshop, Mystery Shopper (not as glam as it sounds), Companion, Nappy Laundry Owner and Cook. Despite all of these random jobs my degree is in Media hence blogging. Probably French Living Manifesto, it got over 8000 hits and it sums up a lot of the changes I have made as I have got older. I still try to work on these things now, and it is like my own personal creed. And here are their questions. Who are your fantasy dinner party invites? What songs are your favourite to get ready to? What is your Holy Grail Beauty item, that you just couldn’t live without?